Happy little Vase! Perfect for fresh cut flowers from the garden to brighten up your table or desk. These vases are handmade by me using a durable porcelainic stoneware clay. They have an elegant and undulating texture made by flowing slip onto the surface during rotation to give the pieces an almost water-like fluidity. Each item I make is 100% unique and one of a kind. If you are interested in this design I can make you something truly your own. Please allow for some variation in size, color, and appearance. 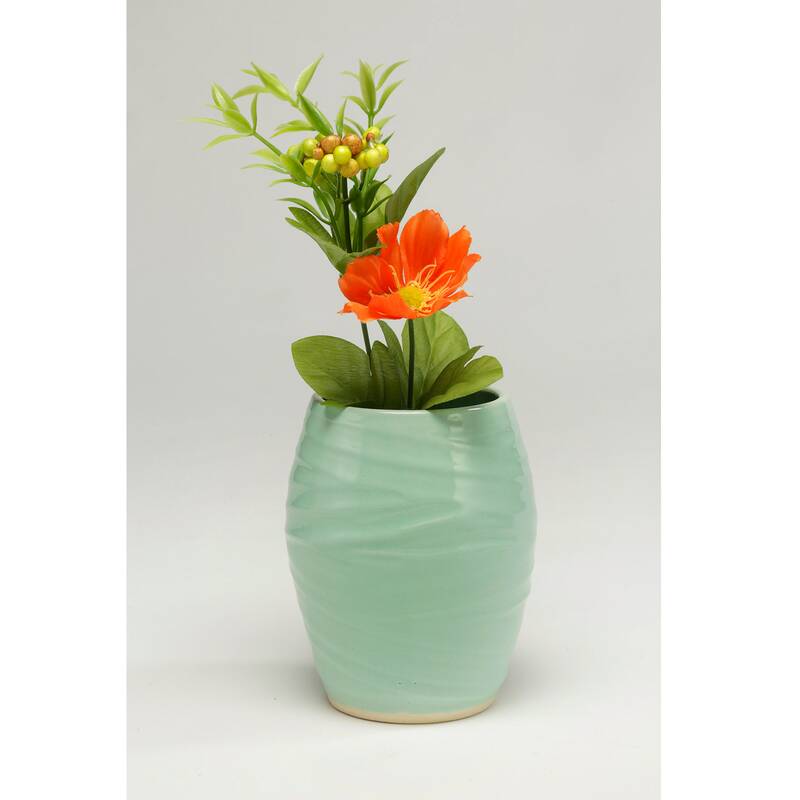 The vase pictured is approximately 6 inches tall x 4 inches wide. Thank you for your interest in my work. Please let me know if you have any questions. I love making custom work! Please ask, I would love to work with you on something that is uniquely your own! Most of my work is microwave, oven, dishwasher, and food safe. Please do not place pottery on the stove top or over direct heat such as a flame. Gift wrapping and the option to include a special note are always available. Just ask! I maintain active wholesale accounts along side my retail sales. I would love the opportunity to visit your store or speak with you over messages or phone to talk about what you think your customers would like to see! 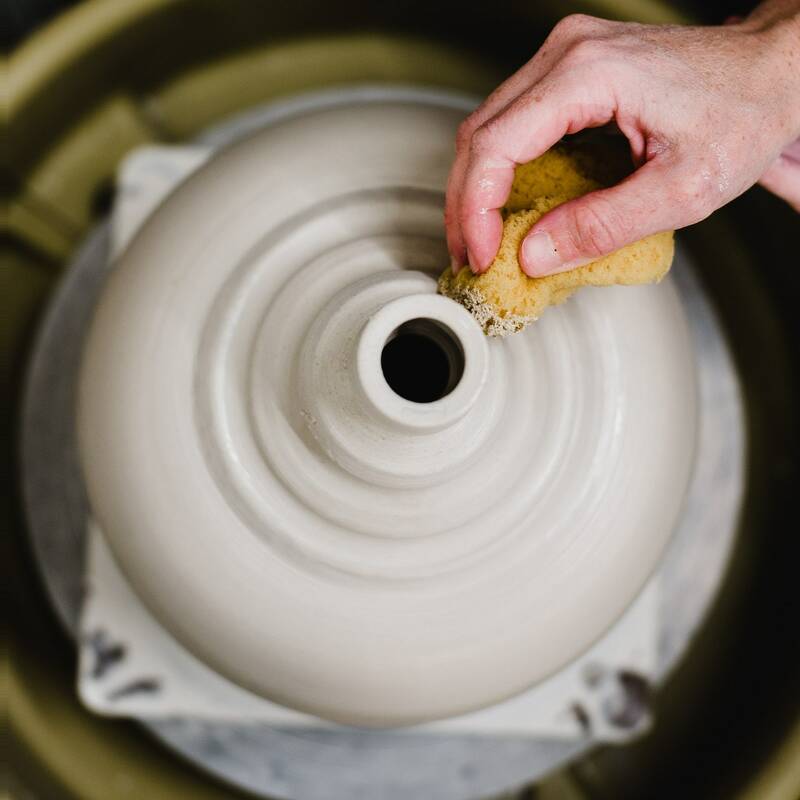 All of my work is wheel thrown or hand built by me in my studio using either porcelain or stoneware clay I purchase from a distributor. My work is finished in glazes of my own recipe mixed in my studio. All of my work is fired, finished, and shipped by me as well. 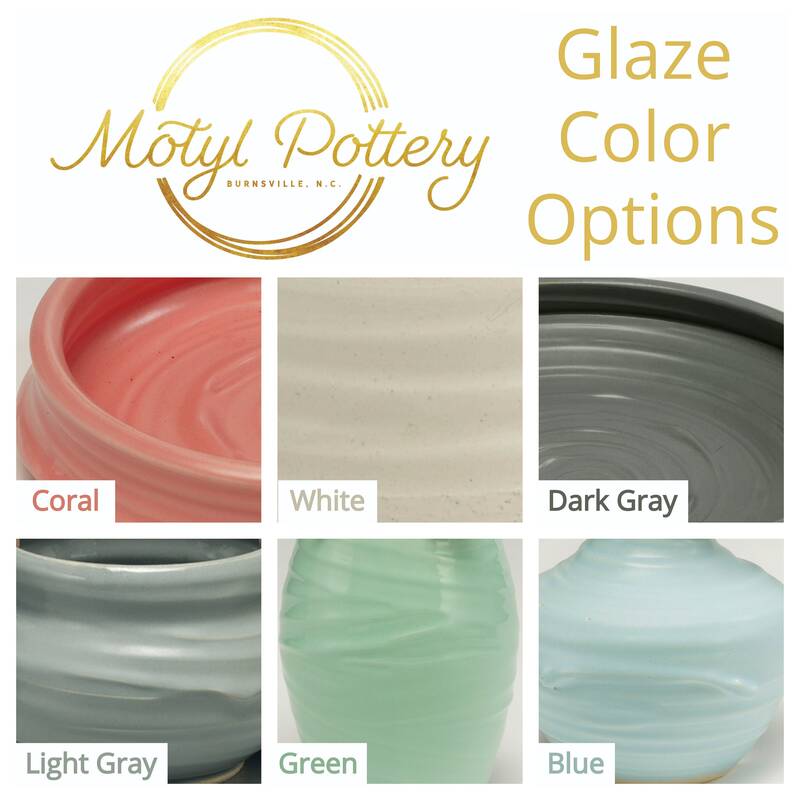 If you have any questions about my process, whether you are a customer or fellow potter looking to swap tips, please ask!